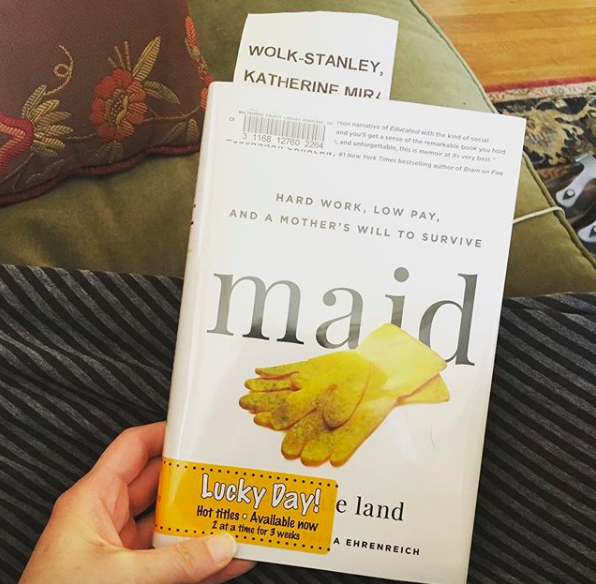 I just finished reading a library copy of the book Maid: Hard Work, Low Pay and a Mother’s Will to Survive by Stephanie Land. In this memoir, Land chronicles the years she spent cleaning houses while simultaneously single parenting her young daughter. She is a deeply gifted writer, and her stories of how she survived this era are both vivid and informative. Poverty is a complex multi-generational issue, and I highly recommend this gripping book for anyone who’s interested in the human experience. And yes, I returned it to the library before it accrued any late fees! I did a large grocery shopping trip to Winco Foods, which is a regiobnal no-frills chain. It’s not in the neighborhood, (which is a tremendous pain in the tuchus) so I give myself a pat on the back whenever I schlep myself across town in the name of frugal adulting. Winco is employee owned and stories abound of long time employees with millions of dollars in their retirement accounts. Their prices are often half of those such as New Seasons or even Kroger, and I brought home six full bags of groceries for just $78. (It was only that high because I’ve been buying gluten-free items for my daughter. Think $5 loaves of bread and $4.50 packets of tortillas!) I really respect this company and feel good giving them my dollars. I somehow assembled a pan of enchiladas on a day when the refrigerator appeared to contain nothing more than Zuul, the gatekeeper of Gozer. (Ghostbusters, anyone?) I pulled together frozen corn tortillas, as well as leftover rice, beans, cheese, plus frozen shredded chicken and corn. I even had a random can of gloppy green enchilada sauce that I’d picked up from The Grocery Outlet, which completed the assemblage. It would impress zero-point-zero foodies, but it was filling and tasty. It certainly kept me from hitting the grocery store that day, which I call a frugal win! I convinced my daughter to hold off from getting her hair cut until the Supercuts training center is giving free cuts again, (probably next week) I batched errands to hit the credit union, library and grocery store, I hung laundry on the clothesline and I made sure to turn off the furnace since I was opening windows to get fresh air in the house. Zero miles day today in wet grey SoCal. Kids are working on xtrath.com. Both just graduated to subtraction after being addition all stars! Started my basil seeds since we’re past any frost. Tuned my sprinklers off since we’re getting rain. Got my first check for training on my new (work from home) job, scoring essay responses on the California Science Test. Work should be pouring in in a few days. 1. Eating breakfast and lunch from pantry. 1. For the second week in a row, a friend brought over a dozen duck eggs. It appears she will have excess eggs for the foreseeable future so we made a deal that I will give her two loaves of homemade ciabatta and she will give me a dozen eggs every Wednesday. Duck eggs sell for $7 a dozen locally, and I can make the two loaves of bread for less than $1.50, including baking, so it is a frugal deal for me and she won’t bake so the deal works for her, too. 2. Finally made enough points on My Points to earn a $50 Amazon gift card, enabling me to buy two birthday gifts of fancy soaps for two different friends. 3. Did three mystery shops that earned me $150, plus a few gallons of gas and some food. The one that paid the most was really detailed and I ended up spending about three hours on the computer downloading pics and filling in the questionnaire, but I watched a movie that I sort of wanted to see, so it was okay. 4. Did a one-hour training for a local agency, for which I was paid $100, plus another $100 for the prep time, plus I got to partake in a breakfast of a free bagel with someone’s homemade salmon spread. I am not the world’s most entertaining presenter so I am always amazed when I am asked back by an agency. I sort of said that last time and the director said, “Well, yes, but you give a lot of really good information so we want you back anyway.” I believe that is what you call damned by faint praise. 5. I had a bunch of stuff in the fridge threatening to die: an onion, mushrooms, cabbage, two-day old meatloaf, and two baked potatoes. None of them sounded appetizing but I ended up making a hash using all of them, and it was delicious. We ate it for two nights. An unearned frugality: I entered a contest and won a $50 restaurant certificate. How do duck eggs work in your recipes? Can you swap them out by weight for chicken eggs? I use them one for one in baked goods or things like waffles and pancakes, but for things like an omelet I use two for every three called for, although I always guy the largest chicken eggs so the differences are not as great as they would be if you are someone who buys the smallest size eggs. I have never had a problem. One place you should not sub duck eggs for chicken eggs is meringues because they don’t have the globulin and so the meringues won’t rise like they should. Also, duck eggs are much richer so you will notice a difference in taste with things like omelets and egg drop soup. My husband prefers that I use them only in baking or custards because he does not like them straight up like fried eggs or omelets. Duck eggs have thicker shells so will last longer in the fridge, so that is another nice side benefit. It also means that you can use them for baking and chicken eggs for meals without worrying that the duck eggs will go bad. Your “unearned frugality” looks earned to me, Lindsey. If you took the trouble to enter the contest, that’s earning it! Yesterday I was riding high on a whole bunch of frugals. Today I went to two grocery stores a) hungry; b) with an incomplete list, so I ended up walking every aisle; c) excited that the college student son – who ran out of grocery money 6 days ago and was not spotted any extra by his mama – is arriving tonight and d) really looking forward to a family beach weekend with all the grown kids. The results were predictably disastrous, except of all the items I bought, only one package of mini chocolate chips was full price. There is so much on clearance racks at this time of the month . . . which, we know from (fortunately past) experience, is the bleakest stretch for folks who have more month than money. 1) Received a free bag of organic sprouted wheat flour. Middle daughter works at a kids’ program where the foodbank visits once per month. Nobody knew what to do with that, but she was sure I would and brought it home. 2) She was right! I used it mixed with regular flour to make several loaves of cinnamon swirl bread, which sounded good to littlest daughter, home with what we suspect is flu in spite of having had her shot. She is mildly allergic to the solution so has to receive it slowly and be watched for an hour at the clinic, so it’s a huge bummer that she got sick anyway. 3) Enjoyed a birthday lunch out with my mom, her treat. We sat at a window on the river and soaked up the sun. Our server was, um, unskilled, forgetting several items we had ordered, but there was plenty of food without them and I made sure Mom wasn’t charged for them. She could have parked for free near my house, but she was having an off day and wasn’t sure she could walk a mile, so we found street parking nearer the restaurant. Returned at EXACTLY the time the meter ran out, saving a significant ticket in that new and trendy spot. 4) Watched a news special called “Seattle is Dying,” after first watching two previous specials on homelessness and addiction on line (no commercials!). It was shocking and well worth the time. We said over and over during our dreadful year of moving that at least we weren’t under a bridge. I mean it even more now. But stayed up late reading the library copy of the Complete Tightwad Gazette afterwards because I needed some images of bucolic frugal life in order to sleep. And one needs sleep in order to work on problems as large as those. 5) In spite of having spent $200 on groceries today – at least $100 of which were unplanned – the truth is we would have to spend well over that $100 to take 9 of us out to eat even one meal this weekend at the beach, and now we’re prepared to cook all food at the condo. So maybe it wasn’t as bad as it seemed at the time. 1. I sold a desk on FB Marketplace. 2. I’m having friends over on Sunday for pulled pork (on sale) sandwiches and beer. So much less expensive than a restaurant and we’ll have a lot of time to kick back, relax and talk without feeling we have to give up the table. 3. I have not gone on a major grocery shopping sine the end of February. I did pick up milk and cold cuts for DH a couple weeks ago. We’re eating down the meat in the freezer since I will be eating vegetarian while he is hiking the Appalachian Trail. No reason except I eat very little meat anyway since I’ve never liked the taste or texture of it, unless drenched in sauce or gravy. 4. Hung an old Easter egg wreath on my front door. The finish on the eggs is cracked but not noticeable unless you look very closely. 5. We decided against purchasing new cell phones although these are slow now to take a charge, especially mine. The charging port on my 4 year old phone was getting loose and slowing down too. A friend gave me his old wireless charger. Basically a shelf you lean your phone on and it charges without wires. No clue how it really works. I use that every night and “save” my port for any charging needed during the day. I’m sure it’s extended my phone life by a few years. I will ask around. Thank you for that info. I’ve seen new wreaths with eggs that have a crackle type finish, so maybe your old Easter wreath is now on trend. I’m stylin’ with my Easter décor I guess! 1. Wore thrifted J Jill oversized white shirt I found at thrift store for $3.50 in perfect condition to work yesterday, over skinny black pants, got compliments. Looked at their website today, and they are still selling it — now marked down from $79 to $69. Score! 2. Got a free lunch at a training I attended for work today. 3. Continuing to take bus to/from work whenever I can (that is, whenever I don’t need to go somewhere before/after work). 5. Returned a pair of pants I ordered online on a whim as soon as they came. Definitely a want not a need. Franz bakery outlet has gluten free bread and tortillas at a great price. Thank you, I’ll check them out! 1) I listed nearly 30 items on eBay over the last 3 days. I am tired of taking pictures and writing descriptions. 3) I forgot to defrost the ingredients I needed for dinner tonight. So much for my meal plan! I managed to pull together a pasta dinner with salad with “stuff” in the fridge. Disaster averted! 4) I watched and enjoyed a Miss Fisher’s Mystery on Netflix. Thank you for the recommendation NCA. I have been reading a library book, The Great Alone by Kristen Hannah. I have been using my library apps to listen to audio books when doing chores around the house. #2 That is a little TLC. I am not sure how that happened. I love Miss Fisher’s Murder Mysteries! Swoon for her wardrobe! Yes, Miss Fisher’s Murder Mysteries is a good series. Fun to watch. Yes, Miss Fisher is fun and a little corny. The clothes are absolutely amazing! Plant rescue! A good thing! Hi Bee! I have found that if I am short on defrosting time, I put the item in a cast-iron pan. The iron helps it defrost faster. Really? I have never heard that. I don’t defrost in the microwave often it makes things taste funny. I have found that with the cast iron too. If you run hot water over it, so that the heat absorbs in the metal, then dry it well, it goes even faster. Kind of like those old thawing trays they used to sell. 1. I saved $500 on flights by talking to a real person and using a disability discount. We are going away for a family vacation. 2. I made a big batch of pasta sauce that fed the family for three nights. 3. We started picking pumpkins from our backyard. These plants planted themselves and we have not cared for them at all, so free pumpkins, essentially. 4. Still reading the books I already own on my kindle or my bookshelf. 5. Listening to a lot of free podcasts for entertainment. Not frugal- we are going to subscribe to a streaming service so we can watch the final season of GoT. Mand01, same here re: GoT. Sigh. We subscribe to HBO Now via Amazon (or, I should say, we did – hubby cancelled it awhile ago). We will make it a point to watch all the other series and movies we eant that are on there while we have it. Hubs has heard the third season of True Detective is really good (we LOVED Season 1, but season 2 was awful). I do have the GoT opening theme song as my phone ringtone right now….at least that was free, lol! And get the issue resolved. And as an aside, every nursing home has an ombudsman too, in the United States. 1.) I have submitted several local scholarships and had an interview for one today. When I have more time, I will try to find more. 2.) I needed an organic chemistry model kit for a class and instead of buying one, my friend who took it last year, is letting me use hers. 3.) I am going to a free event tomorrow with a free dinner, and a friend is lending me her dress. I might pay to have it cleaned though, but still better than buying a new dress . 4. )I have been using the same backpack for 3 years and will continue to use it until it’s completely fallen apart. Right now, there are holes in it, but it is still functional. 5.) I didn’t buy a Lear Jet. Also – and you probably know this already, and may not have time for this – I’ve had good luck finding great backpacks at thrift stores. My son is currently using a Jansport I found at the bins, and I recently found a lavender color Lands End backpack that I’ll use for day hikes. 1. I received a $40.00 reimbursement from my Union. We can turn in a receipt every two years for up to $40.00 off of a new pair of shoes. I got the shoes on sale so I only spent $3.00 out of pocket. 2. I bought butter and when I pulled the last stick out of the box, the wrapper was open and folded back so the butter itself was exposed and stuck to the box. I wrote a quick email to the grocery store because it was their store brand. I actually got a phone call from the store manager and was told that I would receive double my money back. Stopped on my way to work and picked up my $6.00. 3. Kashi bars were on sale at Target. I like these as an afternoon pick me up at work and I only buy them when they are on sale. They were out of the kind I prefer so I bought a box of my second favorite then stopped at customer service to get a rain check. I’ll use that for a future purchase. 4. I requested some books from the library. 5. Borrowed a DVD from a friend for a movie night. 1. I will be getting a free lunch at a work event today. 2. I found a penny on the ground yesterday. 3. We’re driving to see my parents on Saturday (about 80 miles away). We can’t leave until the afternoon bc my partner has a gig. Normally I’d be impatient to get there so I’d drive separately either after work tonight or tomorrow morning. But I’m being patient and waiting for him so we can go together and drive the hybrid. 4. I miss my short hair but it’s more expensive to maintain so I’m growing mine out. 5. In an attempt to be more local, we’ve started the process of moving our bank accounts from a national bank to our local credit union. I’m already in love with the customer service. – I’ve spent a lot on eating out this week. I find it hard to say no when friends and coworkers ask me to lunch. 4. I really want to go to the salon and get those “shadow roots” so many are getting professionally done. I can’t justify paying for them so I, too, will learn to continue to love my current style. What are shadow roots?? I’ve never colored my hair so I’m reallllly out of the loop when it comes to that stuff. I always assumed that the roots showing were laziness or lack of money/time! I saw someone on a news show that way and wondered how the stylist kept her job. Clearly, I need to get out more…I went grey in my mid 20s and finally gave up dying my hair at 33 (because I was lazy and my roots showed) so I must be out of the loop. Yes, credit unions are great! They’re member owned, so they aren’t trying to overcharge you in mysterious ways like a national bank. This has not been a very frugal week but I will give it a shot. 1. I took my daughters car in to the dealership. It has been intermittently not starting. I had it in to my local mechanic but they couldn’t figure it out. My brother googled and found it has a known issue with this car. The dealership fixed this problem for free but it needed additional work. Necessary but not frugal but at least I don’t have to buy her a new car. 2. My mother came over and dyed my hair for me which saves me $50 over the salon price. She also dropped me off at the dealership to get my daughters car and on the way we both disposed of our old medications at the Sheriff’s office and other stuff at the hazardous waste disposal place in our county. 3. I had a nice lunch at Panera with my in-laws and my daughter. We had a nice time and my FIL treated us with a gift card he had. 4. I was able to buy another free gift card for Christmas using my E-rewards points. 5. I’m reading free library books on my kindle. 1. I had a colonoscopy yesterday. There was only a small breakfast on Wednesday and yesterday I wasn’t allowed to drive so I stayed home and got things done (except for walking to yoga, in the rain). I did make a big pot of soup using food I already had. I also used the last of the strawberries in my oatmeal (cooking them with the oatmeal as they were aging). 2. I stopped by the grocery store to buy chicken sausage that was Buy 1 Get 1 Free. They were out so I asked for a rain check. They’re not something I’d buy at full price. 3. I’m listening to Becoming (by Michelle Obama) on CD, borrowed from the library. 4. We need to refile our income taxes (are receiving an updated brokerage statement). Thank goodness for TurboTax, it will make filing an amended return easy. It is much cheaper than paying a professional. My daughter and fiance will also use the copy I bought (it allows for 5 federal returns). It also fills out the state return, making it easy to file that (our state lets you file online for free). 5. I’m still using my thirty year old trash can and my Caldor purchased laundry hamper and basket. I just finished reading Becoming. My heart yearns for a return to the kindness, empathy and class of the Obama years. Me too, Pattilou. Me too. I can relate on the expensive GF items for your daughter. I have been making a few cauliflower pizza crusts to store in the freezer so when everyone else has pizza, which seems to be a lot here, I can just throw some sauce with a few toppings on and not feel deprived. The cauliflower crust is also a great vessel for other things like hummus. So much less expensive than the GF pizzas, and honestly, they are pretty good. Also, I have stopped buying the GF bread and just eat burgers/sandwiches on whatever lettuce is on sale treating it like a bun. Sounds weird but after awhile it’s just the norm. I wish her the best and hope she is less symptomatic. My horrible, several months old, rash completely disappeared when I went GF in about 3 weeks! 1. Twice this week I’ve gone to work events that provided lunch! 2. Walked into a thrift store Tuesday and walked out with nothing. They really don’t have good deals, so I’m not temped in there too often. 3. I’ve been bringing home scrap paper from work and printing my ebay labels on the pages that don’t have contact information on them. I’ve accumulated enough half sheets of paper to last for some time. I am tempted to bring home student resumes because that paper is so nice…but I know there’s way too much information on them that could get me in trouble. 5. Going to be a frugal fail: Hubby found that our upstairs bathtub is leaking and has made a bubble on our kitchen ceiling. We have stopped using it immediately but I foresee our tax refund going right to that repair. ouch. I think your #4 is very frugal. Bringing both you and your new friend a little bit of happiness for the price of a cup of coffee is a super bargain. We make the world a better place with kindness such as this. Blessings. Your #4 made me smile. We all scrimp and save so we can choose generosity when the opportunity arises. I agree with Bee and Katy. Those kind gestures are needed more than ever in our world. As others have suggested about your #4, Jenelle, one reason we’re frugal is so that we can do kindnesses like this when the opportunity arises. Blessings on both of you. I also love your number 4 — the world needs more kindness. 1. A friend took me out for lunch the other day for a belated birthday celebration. 2. It is spring break from the university I teach at. I didn’t go away and have been enjoying a slower pace, being home before 9:30 pm and sleeping in. 3. It’s been a very expensive 6 months I needed to replace my boiler and burner after one flooded and the damage was intense. Doing everything I can to replenish my house fund. Life is just so expensive lately. 4. The usual-library, coffee from home or using a starbucks gift card, home cooking and watching Ricky Gervais “After Life” I think it is fabulous. 5. Impressed by the compassion, intelligence and leadership by Jacinda Ardern. Also loved After Life. So much resonated with me (been a widow for 3 years). Yes, also on Jacinda Ardern. Wow. Just Wow. 1. Getting ready for a trip tomorrow, so I made a big ol’ pot of soup that we’ll eat for both lunch and supper using up some ingredients. 2. I’ll make burritos, chips and veggies for the car ride. 3. I called the library to renew 2 DVDs and avoid a late fee. 4. My husband put new counter top lamenent in the kitchen yesterday. The reason was 2-fold: 1. The lamenent that came with the house was bowing a little, and 2. We put 2 additional counter tops in that we got from the Habitat for Humanity Restore, so we had 3 different counter tops, now they all match and it was much cheaper than paying someone to do it. 5. While we did eat lunch out yesterday, we did the Pizza Hut all you can eat buffet and only ordered waters. 1. My wonderful husband brought home a LOT of leftovers from a conference he attended: fresh fruit, bagels, granola (in little-tiny containers he transferred into a jar), tea bags and yogurt. He prevented food waste, and my family got bagels as a yummy treat. 3. I attended an accreditation meeting at the school yesterday, so I was late coming home. My daughter made macaroni and cheese from scratch for dinner, so we weren’t tempted to go out for dinner before the school play. Yummy and frugal! 4. An Aldi’s finally opened near my house! I will be taking my shopping list there today! 5. I found a free knitting pattern online for string shopping bags. I will be using up some yarn I bought in a lot from Goodwill last summer, to get it out of my stash. The bags will become gifts for the coming year. Re: #2 – I only sub at the school that my children, two nieces, and two nephews attend. It’s always so funny to see their reaction to me, especially when I accidentally call them by a nickname in front of the class… my daughter was the only one not thrilled about it. My 6th grade nephew’s class was having a fun math lesson the last time I was there, and his friend told him, “Your aunt is way cooler than any of my aunts!” Kids. Not a very frugal week, but I can dredge up a few. 1) I found boxes of Nutri-grain snack cakes for $1 box at Big Lots and brought those to work for snacks. 2) Thankfully our insurance provides free road side assistance. Hubby needed it since he didn’t have a spare with him, when his car got a flat. 3) I needed gas last evening, when I went to pick him up. I drove a mile over from where he works and found fuel 26 cents per gallon cheaper than the station on the corner, close to where he works. Glad I decided to check south of there before filling up. 4) So far, I’ve downloaded 3 audiobooks for free on my phone. Two on Overdrive from the Library and one for free on the Audible app. I think I get two per month for free on my Amazon Prime account. 5) Going out to lunch with my new Team members today, but it’s a Thai buffet and they said it was very affordable – which means under $10. I use Gasbuddy.com to find the cheapest gas prices around. 1. I had lunch with a former student and I made a hummus wrap and met her on campus. It was a lovely lunch and I spent nothing. 2. Returned the second and third Daniel Craig Bond films to the library and picked up the fourth. No late fees and no rental fees. Also grabbed The Handmaid’s Tale Season One and a book on the Spanish Civil War. 3. Had grilled cheese and tomato soup last night– I love the Chao cheese but it is pricey– but I had to admit to myself that if I wanted to be Vegan (and I do) than I had to make some allowances for convenient foods like grilled cheese or pizza and that the vegan replacement might cost more but would be ethically and morally a better choice for me than just throwing up my arms, giving up because it’s “too hard” and going out for food or ordering a meat loaded pizza. 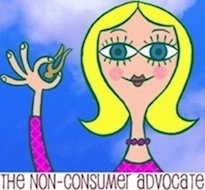 (And I say this because I’m trying to align my purchases with my ethics– I don’t judge anyone on their food choices.) And while I cringe at paying $6.50 for some sliced cheese, I’ve gotten about 10 sandwiches out of it. Sixty five cents isn’t cheap but if the additional 65 cents keeps me from spending 20 bucks on pizza– then it’s worth it. 4. Cleaned the bedroom and yoga room this week which was free and makes me more likely to just stay home and enjoy my house. 5. Have not stopped at Starbucks in a week or more! The Handmaid’s Tale is sooooooo good! Harrowing, and perhaps a bit too timely right now, but good. My wife has always loved Joseph Fiennes and I told her– “From what I hear, I don’t think you are going to love him on this!” But, I’ve heard so many good things about the show and the original novel and movie scared me years ago. A little scary to see how timely it actually IS now! For a variety of reasons (some out of our control, most not), we have been spending a lot of money lately. I decided to try having a “no spend” week for the first time; amended to a “low spend” week — baby steps! I’m weak in the face of a “bargain,” so I’m trying to stay out of the stores when I can. 1. Our library has a free magazine & book swap (although you don’t need to contribute to take). I dropped off a bunch of magazines and grabbed 8 more current ones to take on an upcoming trip (which I will re-donate when I get back!). I estimate that saved me at least $35 over buying them new. And special thanks to the people that read and donate their People magazines in such a timely fashion! 2. Didn’t buy anything at the thrift shop on the way to the library. Although I did see a funny personalized item with a friend’s name on it. Instead of buying it, I texted a picture to him and his wife, and we’ve been having a hilarious text exchange about it! I could have bought it for them, but this is a win/win/win: they get to enjoy it without having more unneeded stuff in their house, and I saved $ by not buying it. 3. Picked up a prescription at the grocery, and bought only sale grapes while there (as planned). Ok, did buy 3 small bananas on sale, too. 4. Didn’t buy deli meat at grocery, as requested by kids. You could buy filet minon at those per pound prices! Am thawing chicken breast to make chicken salad for sandwiches this weekend. Will also make tuna salad and egg salad. Guess it’s a mayo-heavy weekend . . .
5. One of my kid’s was begging for a special video game. Went to buy it online at Target, realized it qualified for free shipping, so had him use some of his own gift cards from past birthdays, etc to pay for it. Didn’t have to put it on my RedCard to get the free shipping. 2. an expensive brand of holistic cat food was on clearance at my feed store…reg $2 down to .50/can. i bought the 4 cans they had (no longer carrying that flavor). 4. no produce has gone to waste in over a month since i have been trying to eat so much healthier (well, other than the apparent addition i seem to have lately to sweetarts). i have lost 4 pounds and, thanks to the boxing class i’ve been doing, over 10 inches overall!!!! more than 2 in my chest and my waist each! 5. didn’t spend any money bribing colleges for my son – even though 12 of the 16 so far have said no. 🙁 🙁 it’s hard being a non-traditional student. fingers crossed on the last 4. he could take some classes at a community college but he wants to study philosopy, film and english (creative writing) and very few CC’s offer the first 2 subjects. Best of luck to your son as he embarks on his new journey! I bet he’ll do just great! (2) Made a very small and surprisingly good soup with the broth from some chicken parts I’d cooked earlier in the week (the Old Bay seasoning on the chicken must have been the secret weapon), along with a couple of elderly leeks from the 2018 garden, a few other veg, and a can of cannellini beans past its best-by date. (3) The found-change total for March is up to $5.83. The $5 bill I found on Monday accounts for most of this, but coins have been popping up as the secrets of many melting snowdrifts are being revealed. March and April are usually the best found-change months here in “real” Upstate NY. (5) Finally, I learned today that a course I’d been planning to take this spring through the local senior learning center has been cancelled because of insufficient enrollment. Bummer–but at least the tuition has been refunded to my credit card account. Lose a few, win a few. 1. Found a bunch of bread ends in the freezer. I dried them all out (sticking them in the turned off but still hot oven after we made dinner) and made a large batch of breadcrumbs. Why does anyone buy them in the store? I love making them this way! 2. The first day of spring was warmish but sunny and windy. I was able to put clothes out on the line (my solar powdered dryer as I like to call it). I don’t know why it makes me so happy to put clothes out but it just does. One of the simple pleasures in my life. 3. The husband and I have really been working hard earning gift cards for an upcoming trip through shopkick and we were both able to cash out for $25 each this week. We make it a little game plus we walk around stores getting exercise and spending time together. 4. My sister and I both have children celebrating birthdays next month. Instead of 2 separate parties we decided to host them together at my place and share in the cooking and cost. This works out great for both of us. Plus it is hard to find one date let alone 2 weekend dates to have parties on so this actually works out great for the whole family. 5. Husband and I had a cheap lunch out with a free burrito I had as a birthday reward. We split the burrito, got some chips and salsa, and had a cheap lunch that we didn’t stuff ourselves with. We are on vacation this week so not much frugality to report. 1. We have discovered a the grocery store in the pricey neighborhood has a deli with prices are about 1/3 cheaper than surrounding restaurants. They also have an leafy outdoor seating area complete with Florida wildlife as guests. 2. Found two logo hats for my kids who both have hat collections Reasonable prices. One of them priced at $5.95!! 3. Found a less expensive gas station. Enjoying driving around this part of the country taking in the sites. 4. Sitting on my balcony enjoying the hot sun, ocean view, and rolling waves for free. Ocean sunsets spectacular. 5. No spectacular purchases or hidden tax returns. Sorry for all the typos! I hope you enjoy your vacation. The weather this week has been spectacular! Thanks for the reminder. I will be more careful in trying to notice them on the ground as I walk. Sometimes I’m so focused on money and deposit cans/bottles, I might overlook other things. DH found a gift card with $30 something on it for a local restaurant on his mail route and I’ve found gold jewelry, a brand new back pack, craft scissors, a new screwdriver in a package on my mail route. Now I walk for exercise and pleasure. You are so correct, Patricia. A few years ago, I discovered a gas station gift card in the melting snow when I was getting out of my car at Wal-Mart. After realizing there was no way to return it to its rightful owner, I decided that it likely was in the process of being discarded due to lack of a balance. Imagine my surprise after taking it to the gas station & discovering that in fact, nearly $40 remained on the card. I felt bad for the person who lost it but was extremely happy to find it and got the balance down to 0 in short order. Totally agree. I recently found a gift card from Starbucks that still had $4.13 on it. So will be a fun treat. I laughed out loud when I read your dinner menu today – I pulled all the same things out of my freezer and fridge – even the green salsa! I LOVED it – emptied 4 different containers and everyone loved the dinner. Didn’t tell them it was all leftovers.